The famous 12 Week Certificate Course takes place three times a year and attracts students of all ages, from all over the world. Students enjoy the experience of spending 3 months on a 100-acre organic farm in the rolling hills of the East Cork countryside. The short courses are taught all year round, with lessons ranging from a 1/2 day to a week. The 6-week sustainable food course focuses on re-thinking food systems and culture, re-learning how to cook, live and eat sustainably, and re-defining what is possible resource efficiency and technology. The next sustainable food course runs from 6 May – 14 June. Ballymaloe Cookery School, Co. Cork Ireland. Classes from €95, €12.595 for the 12-week certificate course. Everything about John Campbell’s cookery school and restaurant is delicious. From the views across the Berkshire countryside to the snuggly fur hides draped across the seats, from his emphasis on supporting local produce, to the three-course seasonal dinner party you’ll be able to pull off by the end. The best thing about The Woodspeen Cookery School is that you won’t even realise that you’re learning. Despite coming home with stacks of knowledge, flavour wheels and scientific notes (which he’s more than happy to provide, if you’re so geekily inclined), you’ll come away feeling like you’ve just spent the day hanging out chatting to a friend in their kitchen, with the full stomach to prove it. Because John is so hands-on, and it’s still early days yet, unlike other establishments, you’re highly likely to get the man himself tutoring you, with all his knowledge from many Michelin-starred years at the helm of The Vineyard, which, funnily enough, is within spitting distance from The Woodspeen. The Woodspeen Restaurant & Cookery School, Lambourn Road, Woodspeen, Newbury. Classes from £65 – full list here. Foraging is a trend that’s here to stay, and it’s little wonder ­– no one does food better than Mother Nature, and getting your hands dirty is always satisfying. Before you head out alone it’s worth knowing your Conocybe Filaris from your Chanterelle, and what to do with your ingredients once you’ve found them. The Fat Hen have a forage, cook and feast day, which involves a three-hour foraging trip, covering how to be a safe and legal forager (sounds more exciting than we’d thought), followed by a cooking lesson and feasting session. Fat Hen, Cornwall. Forage, Cook and Feast Day, £125 per person. More information here. Le Manoir Aux Quat’Saisons, Church Road, Great Milton, Oxford. Courses from £185 per person – full list of upcoming courses here. This Borough Market bakery has become famous for its doughnuts. And when you try them, you understand why. They are delicious, rich and indulgent without being sickly sweet. Thankfully, if you’ve become obsessed with these fluffy bites of heaven, you can learn to make them yourself at home. There are two Bread Ahead cookery schools in London, one in the original location of Borough Market, another on Chelsea’s Pavillion Road, with a third due to open later this year at their new Wembley Park site. The classes range from the doughnuts to gluten-free baking, bagels and croissant classes, with some full or half day options. Locations in Borough Market and Sloane Square: £80 per person, half day or £160 per person, full day. Full list of classes here. Based in Wandsworth, this family-run cookery school specialises in tailor-made classes for all your cookery needs, from learning the basics like knife skills, to macaroon masterclasses and chalet cookery courses. You can try your hand at Sunday Lunch, or learn to bake and cook before you head off to university. There really is a class for everyone here – including a Chalet Cooking course if you’re off on a ski season. The Avenue Cookery School, 3 Enterprise Way, Wandsworth, London SW18 1FZ. Classes from £60. Eric Lanlard, or ‘Cake Boy’, has become somewhat of a baking celeb for the A-list, with clientele including Madonna and Sir Elton John. Courses range from a French Country Baking Class that’s perfect for budding patissiers, to an Afternoon Tea Baking Class, so you can really nail that scone recipe. Spring into the warmer weather with their seasonal classes – Spring Baking offers the chance to learn how to make Key Lime Pie among other classic recipes, and Summer Baking helps you to create the perfect puddings to pair with an alfresco lunch. Our favourite is the Chocolat Class, in which students learn how to create three amazing cakes including a dreamy Chocolate & Raspberry Torte, an amazing Arabesque Gateau Opera and a Flourless Gateau Chocolat. Be prepared to create your masterpieces using only the finest ingredients, from 70% dark chocolate to ground almonds and pistachios and even 24-carat gold decorating paper. All masterclasses include a delicious seasonal lunch with fine wine, and students will take home their creations to wow the family and their aprons to continue their baking skills. For a gentler introduction, why not try the cupcake decorating class with champagne brunch? Cake Boy, SW18. Full-day classes £250, Cup Cake Masterclass £95. Find out more here. If Rosemary Shrager can turn a ‘ladette’ into a ‘lady’ on reality TV, she’ll have no trouble teaching anyone how to nail the perfect dinner party, french classics and healthy eating. A selection of exclusive day courses with Rosemary herself are available where you will learn how to prepare the best of British, French and Italian cuisine. Other courses include Flavours of Mexico; Bakes, Cakes and Puddings; Gluten Free Cookery and Mediterranean Tapas. Rosemary Shrager Cooking School, Tunbridge Wells, Kent. Half day courses from £95. We can’t think of a much better place to learn to cook than on the edge of the Yorkshire Dales, in the grounds of a beautiful castle, next to a cosy aga. 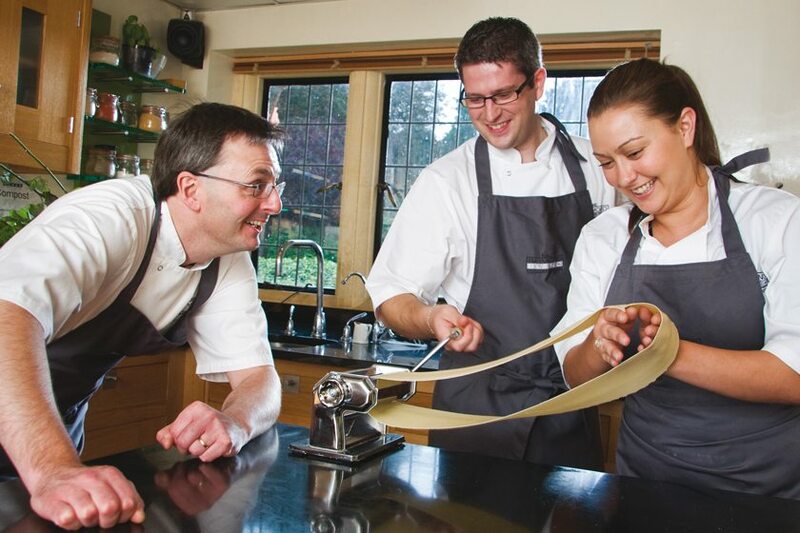 Their courses cover an impressive array of cookery skills including AGA cookery, baking and barbecuing. Our favourites are the Middle Eastern course, which covers all the ingredient and flavour combinations and lessons in flatbread making and halloumi grilling, and the French brasserie course, where you’ll learn how to make a rustic french loaf, duck leg confit and more. See all the courses here. Swinton Park, North Yorkshire. Half day from £85, £160 weekends or £140 mid-week. Cookery School at Little Portland Street is London’s most sustainable cookery school and second after River Cottage in the country. They run many wonderful classes and also cater for the corporate world, running bespoke classes and groups. Established in 2004 by Rosalind Rathouse, it is a hidden gem only five minutes from Oxford Circus. The daily classes run every week and cater for all levels from domestic to professional qualifications, with a wide variety of classes including Japenese home cooking, Jewish cooking and death by chocolate. 15b Little Portland Street, London, W1W 8BW. Classes from £125 per person, certified courses available. Around 3.5 million people in the UK now identify as vegan, so it’s no surprise the number of vegan restaurants, menus and cooking courses are on the up. East London’s newest addition to the vegan cuisine scene, The Plant Hub Academy, offer a number of vegan culinary classes, including ‘Decadent Desserts’ and ‘Batch Cooking’. Founded by plant-based chef Lauren Lovatt and founder of Pride Kitchen David Bez, the hub opened recently after successfully raising over £20,000 in its Kickstarter Campaign. 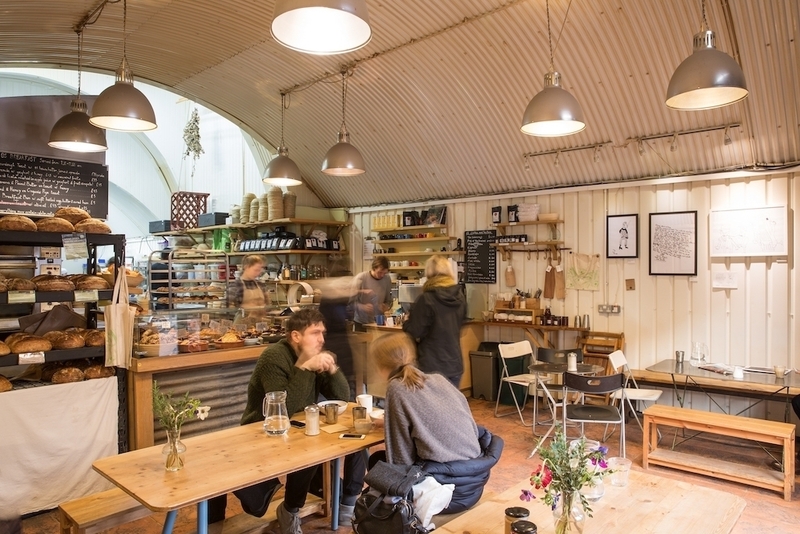 Getting away for a weekend of baking may seem like a distant dream but E5 Bakehouse in East London brings the prospect much closer to home. One foot inside this trendy warehouse space and you can smell (and see) fresh bread baking and while you may not have industrial level mixers at home, E5’s seasoned bakers can teach you little tricks to recreate their iconic sourdough bread loaves yourself. Once you’ve mastered the bread, try your hand at their jam, butter and pickles workshop to really wow your dinner party guests. If you do happen to have the time to get away, the bakehouse is running a baking retreat in the Alpujurras region from 4 – 11 May, where bread and pizza classes will be punctuated with curated trips to explore your local area. Learn the tricks of the trade from top London chefs at Sauce, a new cookery school opening in five-star hotel The Langham. Classes will range from making pastry to knife skills to premium cooking classes, taught by the likes of Michel Roux Jr and executive chef Chris King.